Grade: C8	Very Fine. Rolled, single-sided. Prior to linen backing the poster was in nice condition with only some foxing and minor edge/handling wear. Expert restoration has addressed these flaws and the poster now appears very fine to near mint. From Presidents to pop stars, Richard Avedon photographed many of the most famous personalities in the world. In his 2004 obituary the New York Times wrote that “his fashion and portrait photographs helped define America’s image of style, beauty and culture for the last half-century”. 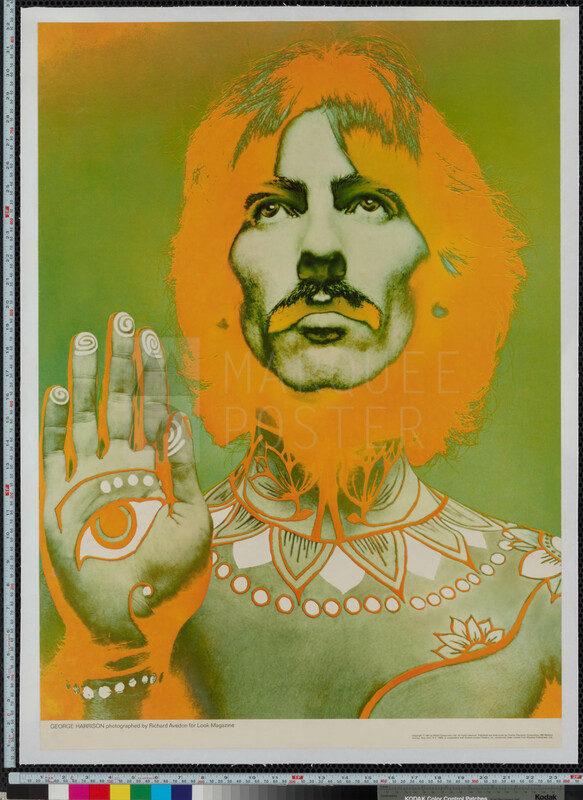 It should come as no surprise then that THIS was the photographer Look Magazine commissioned in 1967 to photograph perhaps the biggest cultural phenomenon the world had ever seen — The Beatles. 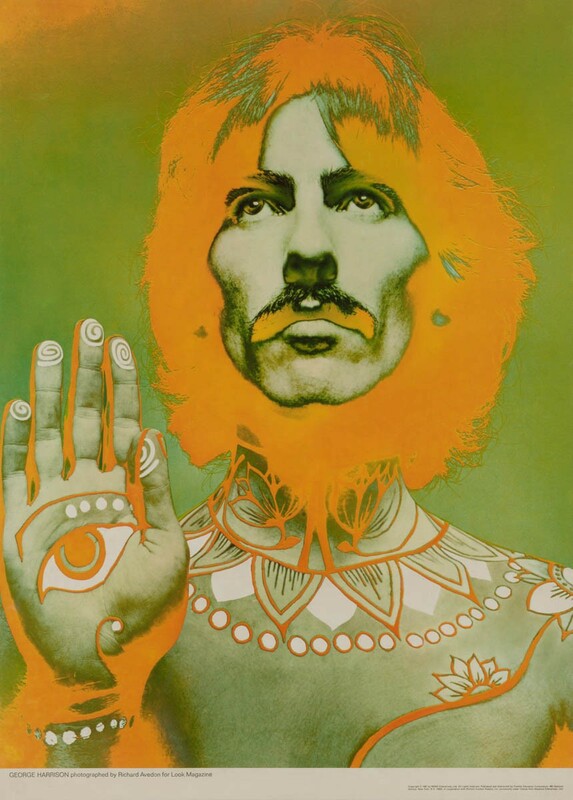 Despite being more well known for his black & white work, in an inspired move Avedon created an amazing, psychedelic, feast-for-the-eyes set of color portraits. The posters were available to subscribers of Look Magazine in the US, and they were also distributed by similar influential music publications around the world, resulting in five unique printings. However, the German set (Stern Magazine), the English set (The Daily Express) and the Japanese set (unknown publication) were all printed in the smaller B2 (~19″x27″) size. The Look Magazine set (printed by NEMS Enterprises, Ltd) was unique, having been printed at the larger A1 size (~23×32″). This gorgeous series can be displayed in a variety of configurations — along a hallway, in a stairwell, or as a group. They will transform your living space!